YAY! My first successful watermarble using Orly. I used Push the Limit and Be Daring to achieve this look. I also can never leave well enough alone, and I added ILNP holo top coat. I think it looked better before I added the holo. I used craft scissors and scotch tape to make my own decals! I was pretty proud of myself, it came out perfect. 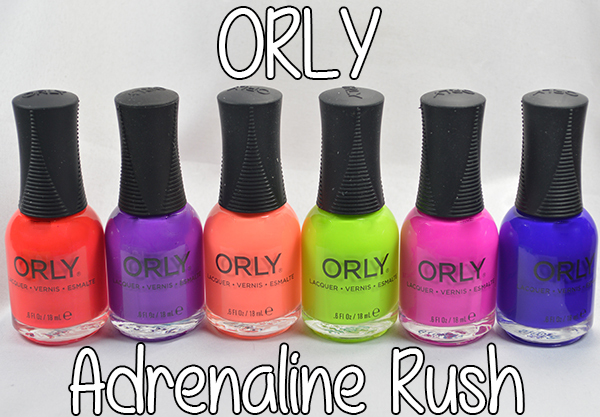 Have you tried the Adrenaline Rush collection yet?